On my recent trip to India, I feel in love with chutney of all kinds. I learned to make this peanut chutney while I was there. 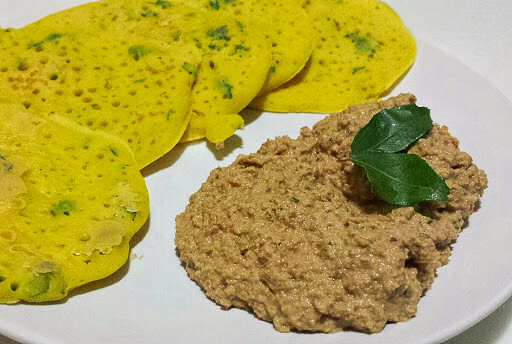 It is amazing with mini dosa, as pictured, or as a base for pizza. The spicy, savory peanut chutney is also great to eat alone with a spoon. Tasty! I had the pleasure of dining at Seward Cafe recently. They have many veg and vegan options clearly labeled on the menu. You walk up to the counter and write your order on a ticket before paying. They will then call out your name when your food is ready. 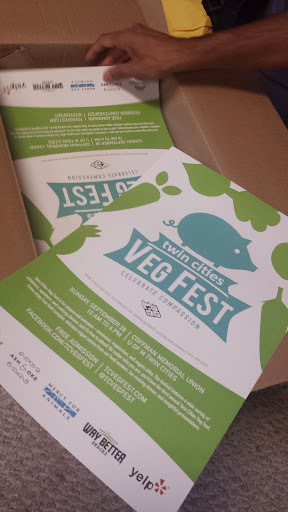 I had the pleasure of picking up the new batch of posters for Twin Cities VegFest 2014 recently. I am excited go this year; I have enjoyed the two previous years. See you there! Last night, I had the pleasure of dining at Gorkha Palace with a friend. 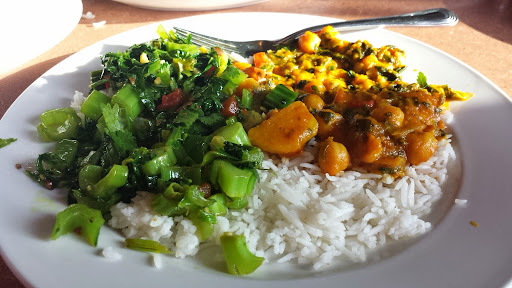 I couldn't decide which of my two favorite entrees to get, so I ordered both the channa saag and the hariyo saag. They both are delicious with garlic roti. 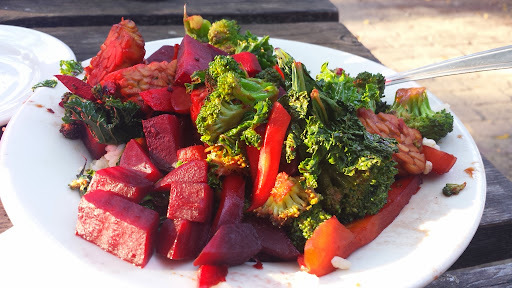 The waitress at Gorkha was vegan and talked about her favorite places. She got me thinking about the tasty cupcakes at Hard Times Cafe. After dinner, we popped over to Hard Times for dessert. 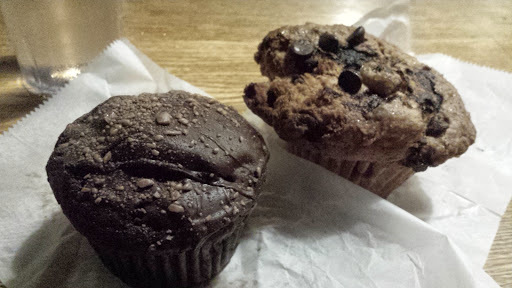 A chocolate cherry muffin and a chocolate mint cupcake. The cupcake was really good and tasted like a thin mint cookie. A fun night filled with a lot of tasty food.